I just received this from a great aunt as a gift and was wonderng if this something I should pass down to my children. 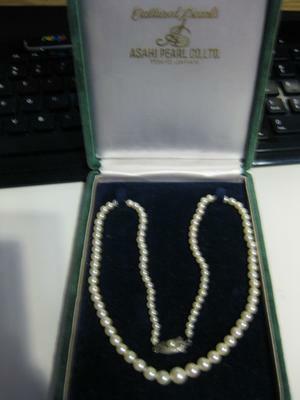 It has lovely clasp with pearl. Marked "silver".